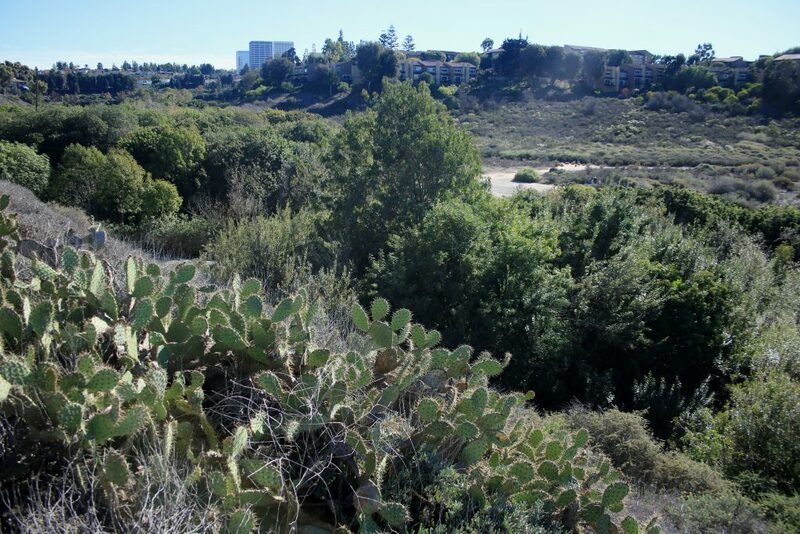 Officials and residents heard an update this week on the effort to remove invasive species and restore Big Canyon Nature Park, the stretch of forest, bushes and trails off of Back Bay Drive (across from the gravel parking lot), to its more natural state. The Parks, Beaches and Recreation Commission voted 6-0 Tuesday to recommend the project move forward to the City Council, that the Brazilian pepper trees be confirmed as a “problem” tree and be removed, that the Commission receive updates, and that an ad hoc committee is formed at the next meeting to include commissioners in the process. Commissioner Roy Englebrecht was absent. Commissioner Diane Daruty expressed enthusiasm about the project, echoed by several other commissioners. Newport Bay Conservancy former President Peter Bryant said he hopes the city and Conservancy continue to work together on the project. Inside the Brazilian pepper tree forest in Big Canyon Nature Park, off of Back Bay Drive, in Newport Beach. The project includes water quality improvement measures, restoring natural plant life, and removing invasive trees, plants, and animals in the area, including the Brazilian pepper trees, South African clawed frog, and the polyphagous shothole borer beetle, all of which are both voracious and resilient, explained Assistant City Engineer Bob Stein. Most of the discussion revolved around the invasive Brazilian pepper trees. The pepper trees have choked out most other vegetation, there is no understory (the shrubs and plants under the canopy) and no animals in the small forest. “It’s a very sterile environment,” Stein said. The project will entail removing the Brazilian pepper trees, which will eliminate the heavy canopy currently there. “For most of this area, that means clear-cutting,” Stein clarified. Makana Nova, city associate planner, explained that the trees will be chipped up and either hauled off or used as a weed abatement. “It sounds like maybe the pepper trees need to go back to Brazil,” joked Commission Chair Walt Howald. On top of water quality challenges and invasive species, there has been increased nighttime activity in the park, he noted. People will hide out under the canopy of the pepper trees and build campfires and makeshift shelters, Stein said. With Phase 1 of the restoration project complete, officials are moving forward with the next step. The proposed project will restore and improve nine acres in the center of the Big Canyon Nature Park, including: Creek improvements, replacement of invasive trees and vegetation with native trees and plants, measures to deal with a pervasive infestation of the Polyphagous shothole borer, and public access improvements and informational signage. 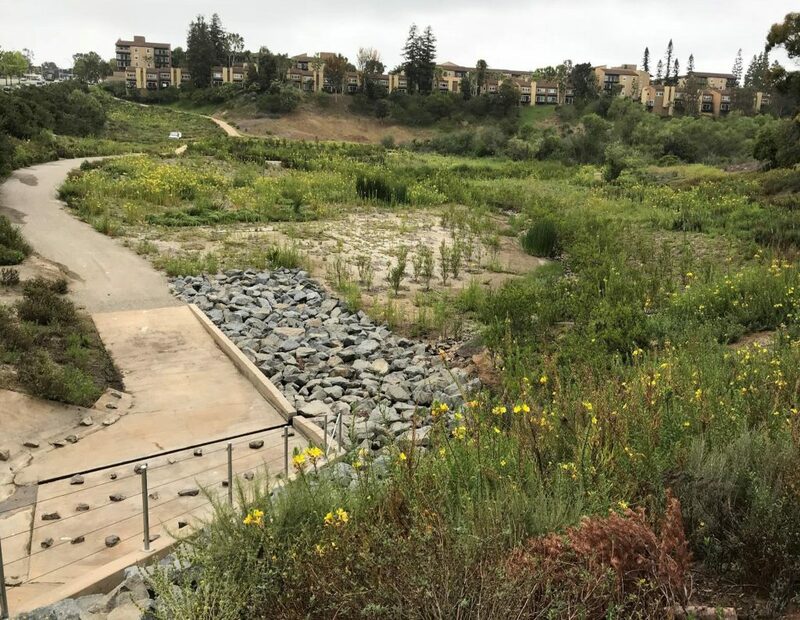 The project will remove 6.3 acres of invasive Brazilian pepper trees and replant with native trees and shrubs, including willows, sycamores and cottonwoods. Approximately 150 to 200 Brazilian pepper trees will be removed. It is specifically listed as a “problem tree” in City Council Policy G-1. 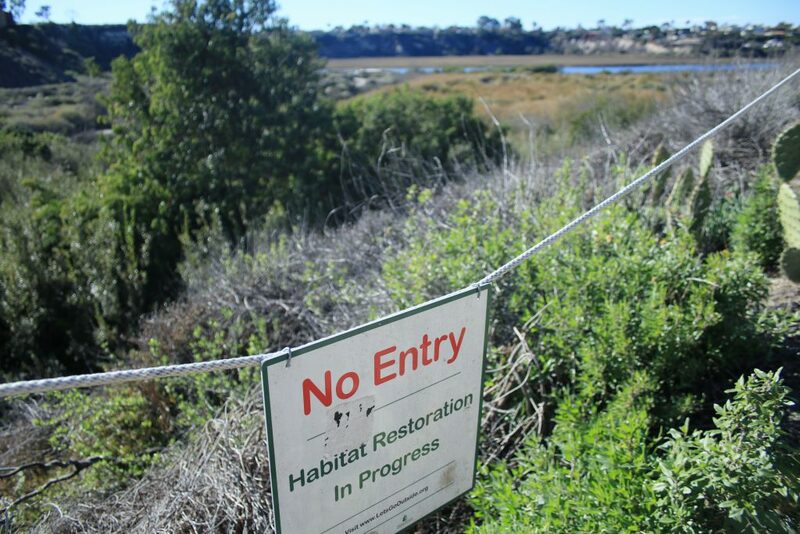 In these areas, invasive plants will be selectively removed and those areas revegetated with native coastal plants. The restored area will have one hundred percent coverage by native plants. It’s not an example of a healthy watershed, he noted. The proposed plan will conduct water quality improvements to mitigate the levels of selenium in the water, as well as adjust the flood plain. 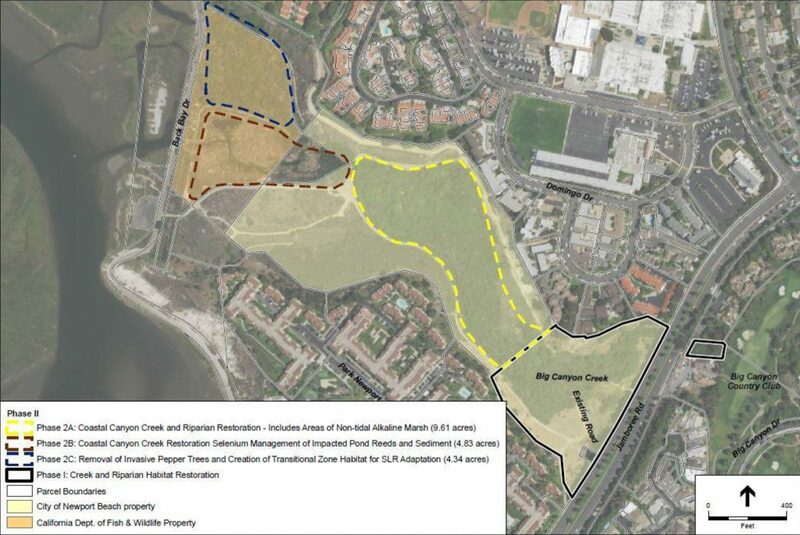 The proposed revegetation plan will create a “mosaic of woody and herbaceous riparian vegetation along the creek corridor, alkaline wet and drought tolerant meadow communities adjacent to the riparian corridor, and coastal sage scrub transitional,” according to the staff report. Some of the restoration from Phase 1 of the project. The plant palates for these habitats will be resilient to the high salinity soils that dominant the project area. The first phase of the project was funded by Measure M and the city, Stein said. The design portion the second phase of the project will be funded through a $640,000 grant from the Ocean Protection Council to the Newport Bay Conservancy. 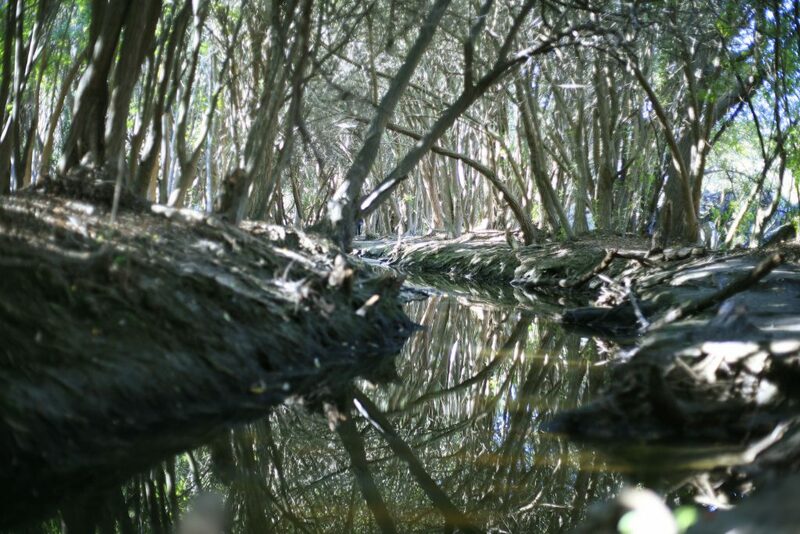 The grant funds also allow the Conservancy to perform a feasibility study for Phases 2B and 2C, that includes the selenium-impacted freshwater lake. The city subsequently issued a licensing agreement to the Conservancy to enter onto city property to perform studies required. The Conservancy also applied for a construction funding grant with the California Department of Water Resources for $1.2 million. If the grant is approved, construction on the project is anticipated to start in fall 2019 and complete within six months. Resident and a volunteer naturalist with the Conservancy, Dennis Baker, said this project has been a long time in the making, as early as 2001, he noted. Baker commended the staff for pursuing it over the years. The Brazilian pepper tree forest will be removed and replaced with native trees as part of the restoration project. 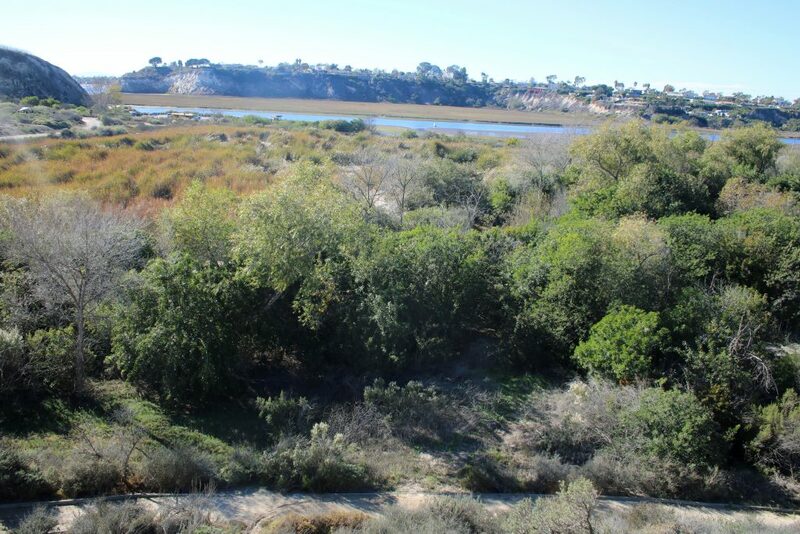 The effort to restore Big Canyon Nature Park, off Back Bay Drive, will include removing the Brazilian pepper tree forest, improving water quality, and planting natural vegetation. A map of Big Canyon and the Phase 2 project areas.